Let's talk dry shampoo. If you have hair, there's a chance you've had one of those days where you know it needs washing but simply can't be arsed. Now my hair is getting back to the long side, I have those days. Plus you know not washing your hair is actually good for it? Minging I know, but it's true honestly! Washing your hair washes out the natural oils that protect it. It not only helps protect your hair from drying out but from breaking and if you colour treat your hair, keeps your colour looking fresher and brighter longer. Not only can dry shampoo be your saviour for those 'I should have washed it' days but if you want to style super clean hair, a quick spray will help give your hair some hold, two birds, one stone! 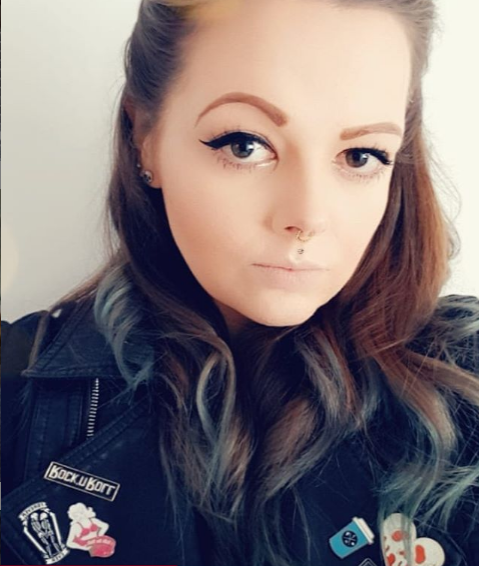 I completely ran out of dry shampoo the other week, a total disaster which made me plonk it in a messy bun and pray I didn't bump into anyone I knew that day. So while I was off getting some shopping I popped in Asda to get some! 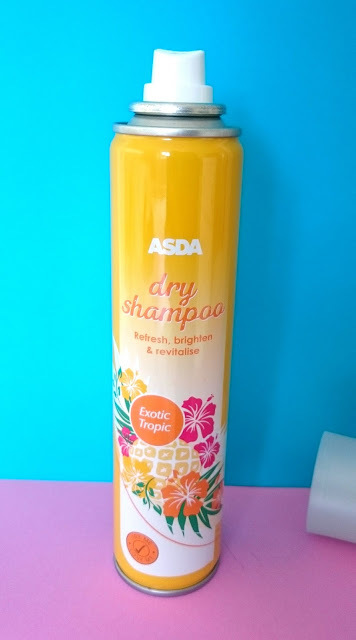 Instead of reaching for the usual I decided to take a chance on Asda's own and see what happened after all at a mere £1.50 for 200ml (half the price of the more known Batiste) it was worth a shot! So I reached for the Exotic Tropic fragrance and off I went. Cue my lazy hair day. I reach for my new dry shampoo, spray it in me hair and I'm super impressed. It leaves the hair feeling light, voluminous and clean. It didn't leave me with that straw feeling like some cheap dry shampoos do and the fragrance is gorgeous! The morning after before I jumped in the shower, my hair still felt clean and looked shiny. I probably could have gone a whole other day without washing my fro. I've used it a few times since I purchased it now and I am really pleased with it. It will be a repeat purchase and my go to for dry shampoo! What's your fave dry shampoo? I've gone off dry shampoo because of exactly what you said. It just seems to leave my hair straw like. If this doesn't do that, I'll definitely have to give it a go. Who'd thought ASDA would have the answers!